CUTTING YOUR HOOD IS PRETTY EASY IF YOU USE THE HOOD TEMPLATE. THE FIRST STEP IS YOU CUT OUT THE HOLE IN THE TEMPLATE. NEXT YOU PLACE THE TEMPLATE ON THE HOOD. 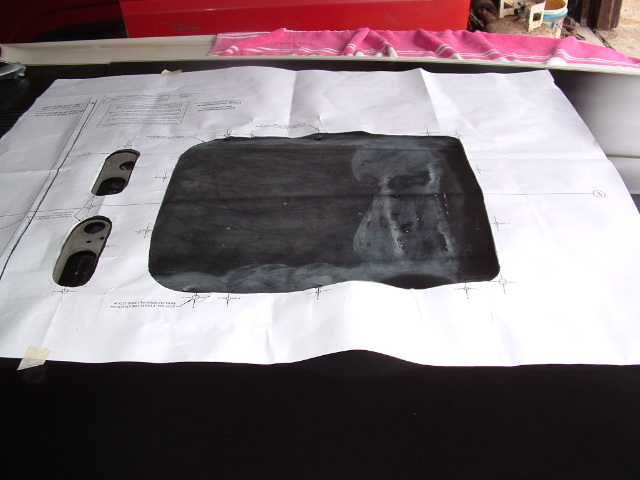 ALIGN THE REAR OF THE TEMPLATE WITH THE HOODS REAR EDGE AND THEN CENTER THE TEMPLATE ON THE BODY LINE. 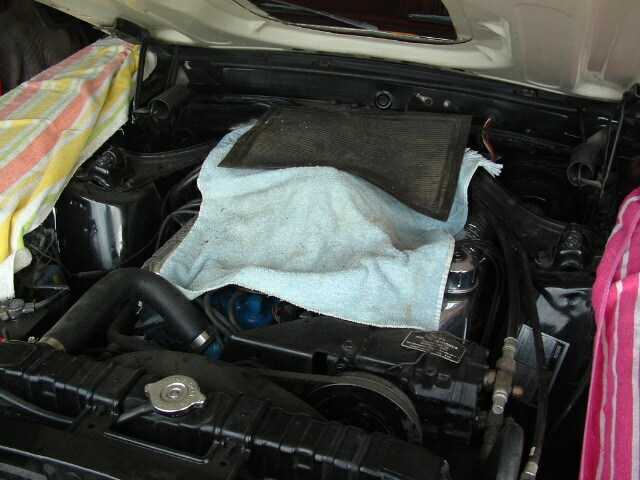 NEXT YOU TAPE THE TEMPLATE ON THE HOOD AND DRAW THE OUTLINE OF THE CUT OUT. IF THE PAINT ON YOUR HOOD IS GOOD I RECOMMEND THAT YOU LAY DOWN A FEW INCHES OF TAPE AND DRAW THE CUT OUTLINE ON THE TAPE. I USE A PLASMA CUTTER BUT YOU CAN USE A JIG SAW TO MAKE THE CUT. TO DO THIS YOU FIRST HAVE TO MAKE A HOLE FOR THE BLADE. I USE A 1" HOLE SAW TO DRILL A HOLE NEAR A CORNER SO THAT WHEN I BEGIN THE CUT I CAN CUT STRAIGHT AND NOT HAVE TO START A TURN. 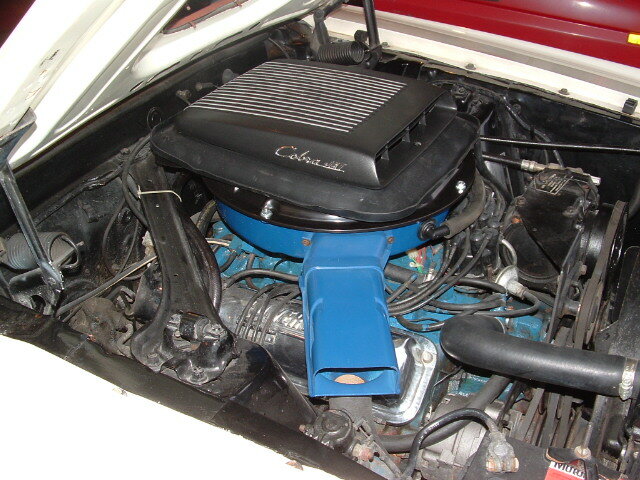 I STRONGLY RECOMMEND YOU COVER YOUR CARB AS YOU'LL HAVE TO REMOVE YOUR AIR FILTER TO MAKE ROOM FOR THE SAW BLADE. 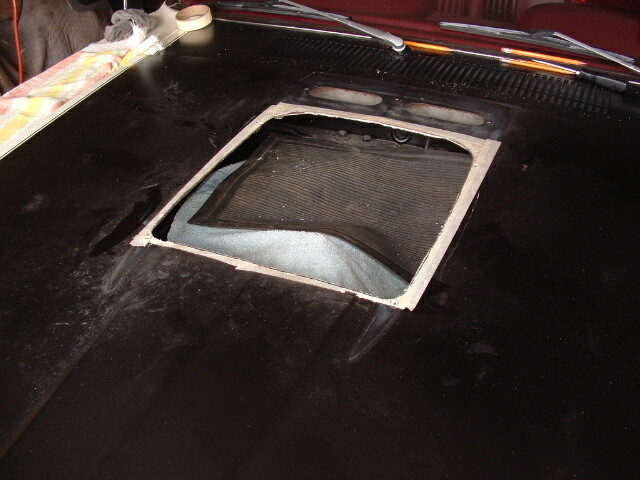 ONCE THE HOLE IS CUT, TRAIL FIT THE TRIM RING. 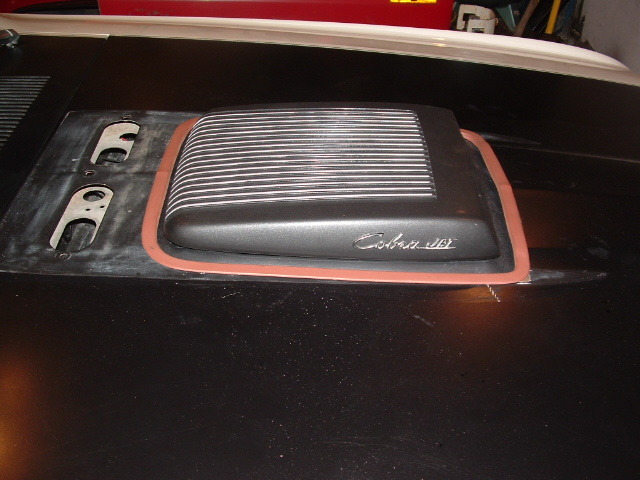 ONCE THE TRIM RING FITS PUT ON THE SHAKER SLOWLY AND CAREFULLY CLOSE THE HOOD. YOU WANT TO BE SURE NOT TO HIT THE SHAKER. THERE IS ABOUT 3/8" OF ADJUSTMENT BUILT INTO THE SHAKER BY LOOSENING THE HOLD DOWN SCREWS AND SHIFTING THE SCOOP. BE SURE THAT THE SCOOP IS CENTERED IN THE HOLE. WITH THE SCOOP ADJUSTED PUT THE TRIM RING IN PLACE TO ENSURE THAT THERE IS PROPER AND EVEN CLEARANCE AROUND THE SCOOP. 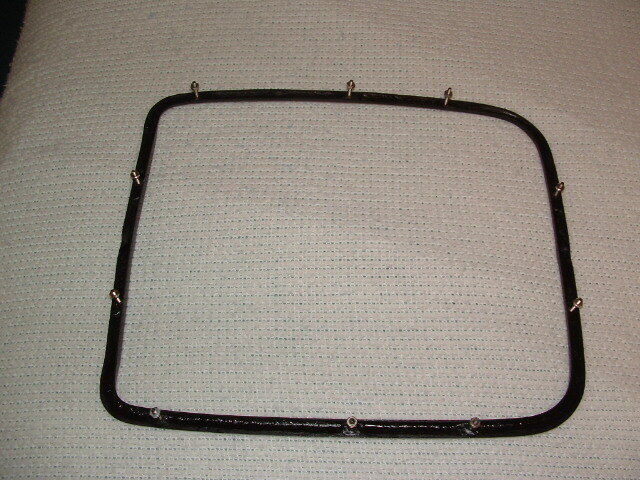 IF EVERYTHING LOOKS GOOD THEN YOU'RE READY TO ATTACH THE TRIM RING. BEFORE YOU ATTACH THE TRIM RING YOU SHOULD PRIME & PAINT THE BARE STEEL EDGE. 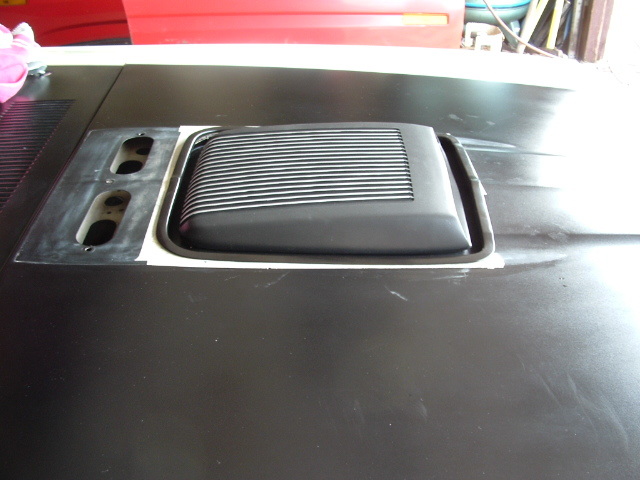 IT'S ALSO A GOOD TIME TO WET SAND THE TRIM RING IF YOU'RE GOING TO PAINT IT ON OR OFF THE HOOD.THE EASIEST WAY TO INSTALL THE TRIM RING IS TO BOND/GLUE IT ON. YOU CAN USE EPOXY OR ADHESIVE CAULK. APPLY A BEAD OF ADHESIVE TO THE BOTTOM CORNER, PUT THE TRIM RING IN PLACE AND GENTLY PRESS DOWN, SEATING IT. ONCE YOU'VE ADJUSTED THE TRIM RING, USE SOME SPRING CLAMPS AND PAINT STICKS TO SPREAD THE CLAMPING FORCE SO THE TRIM RING FITS FLUSH ALL AROUND. I USE A PRODUCT CALLED PHENOSEAL WHICH IS AN ADHESIVE CAULK. I LIKE IT BECAUSE IT'S AVAILABLE IN CLEAR AND IT SHRINKS A LITTLE BIT WHEN IT DRIES UNLIKE SILICONES WHICH GEL (IT'S ALSO GREAT TO HAVE AROUND THE HOUSE). THIS MAKES FOR AN EVEN BETTER FIT AGAINST THE HOOD. 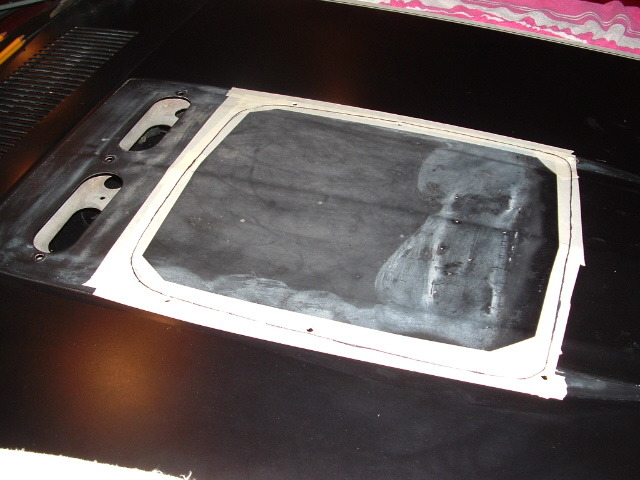 DON'T USE QUICK DRY ADHESIVES BECAUSE YOU'LL NEED TIME TO SET UP THE TRIM RING. ONCE YOUR GLUE SETS UP YOU'LL HAVE TO DESTROY THE TRIM RING TO REMOVE IT. THAT'S IT. YOUR DONE. I'VE GOTTEN SOME SUGGESTIONS FROM CUSTOMERS LIKE BONDING ON FLAT HEAD TRIM STUDS TO THE BOTTOM OF THE TRIM RING TO SIMULATE A FACTORY UNDERHOOD APPEARANCE.